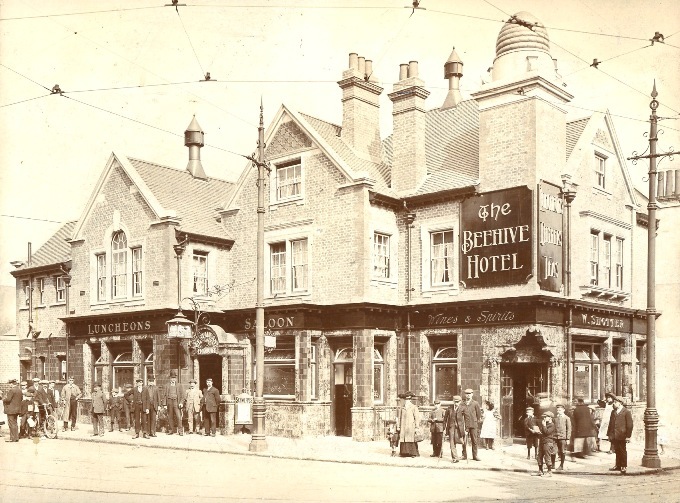 Howard Webb sent this splendid image of the Beehive, taken after its rebuild in 1907 to a design by Nowell Parr. 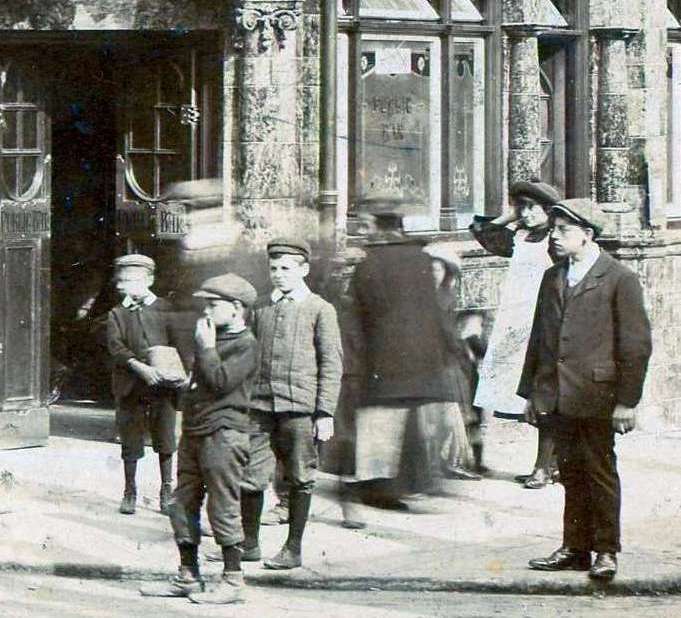 Over 100 years later the building is little changed externally and can be seen in Google StreetView, at the junction of Half Acre and the High Street. The crowd may be there to celebrate the re-opening? The high resolution scans provided by Howard enable details to be picked out: the three entrances from left to right are to the restaurant, saloon bar and public bar. There is an advertising board for Schweppes Mineral Waters near the restaurant entrance, the publican's name is W. Shotter. See below for more detailed photos of the crowd. This small group includes working men, youths and boys, one holding a spade perhaps. 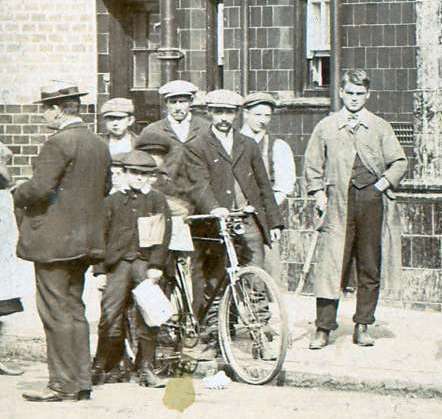 The man to the left is a little more smartly dressed - a tradesman? 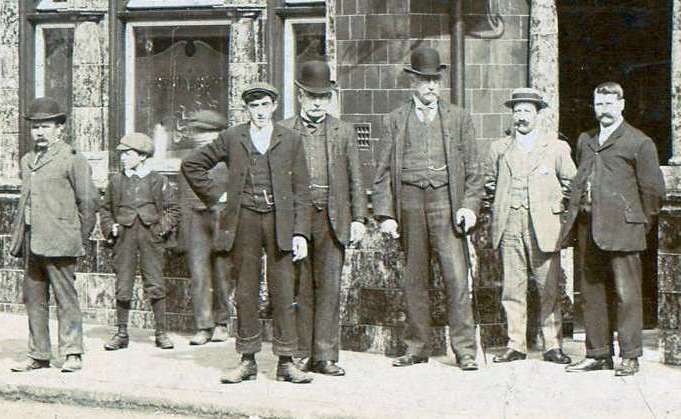 The other man in the group with a cap is in working clothes but obviously feels part of the group, unlike the man to the left in the bowler hat, who is a little 'out of it'. Two boys complete the scene. A small group of people who happened to be passing by? 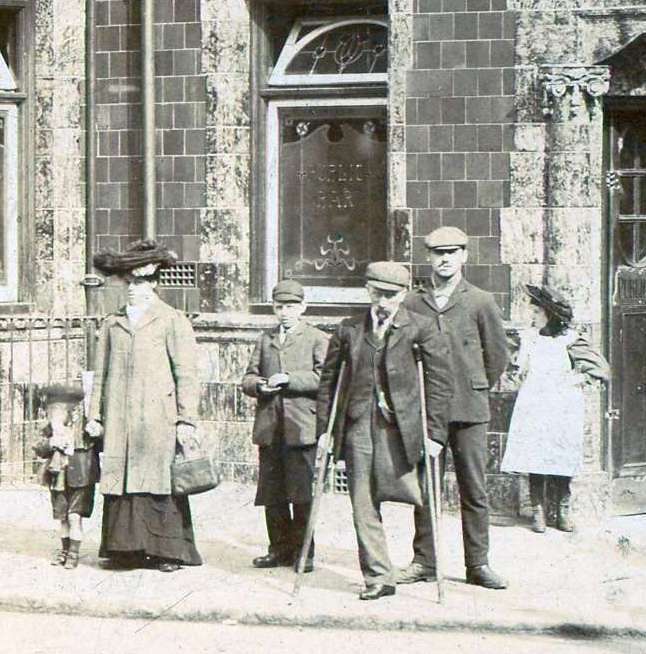 Includes a mother with a huge hat and small child, a boy of 10 or 12, a one legged man on crutches, a man with a cap and short jacket staring directly at the photographer and a girl with white pinafore over her dress and an elaborate hat. The final group is mainly boys and youths watching action to their right. It also provides a gimpse of the ornate woodwork in the double doors. More about the Beehive and links to other photos.